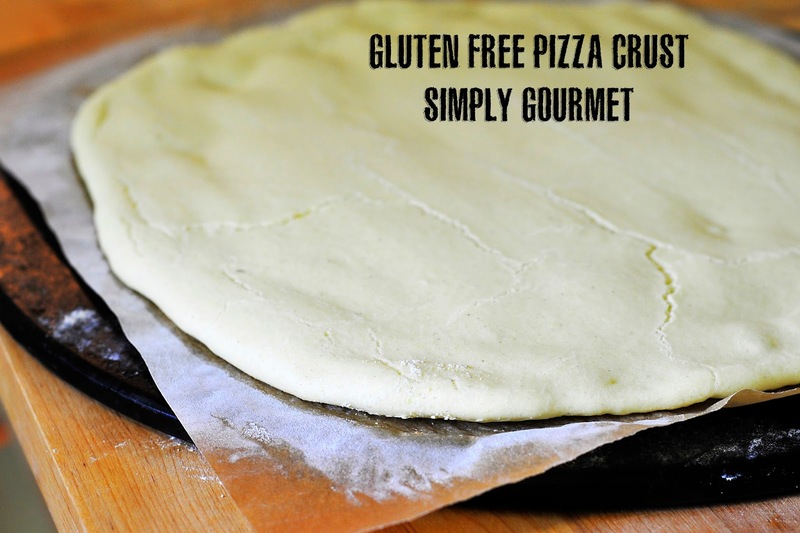 This is our families favorite pizza crust recipe. I have been supplementing buttermilk for most of the recipes that call for "milk" and find that it works better in gluten free baking. I think the extra fat may help with developing the dough. Of course, I am going to recommend that you buy the best buttermilk you can find. I get ours from a local dairy in a small glass bottle. It is light yellow because the cows are grass fed. 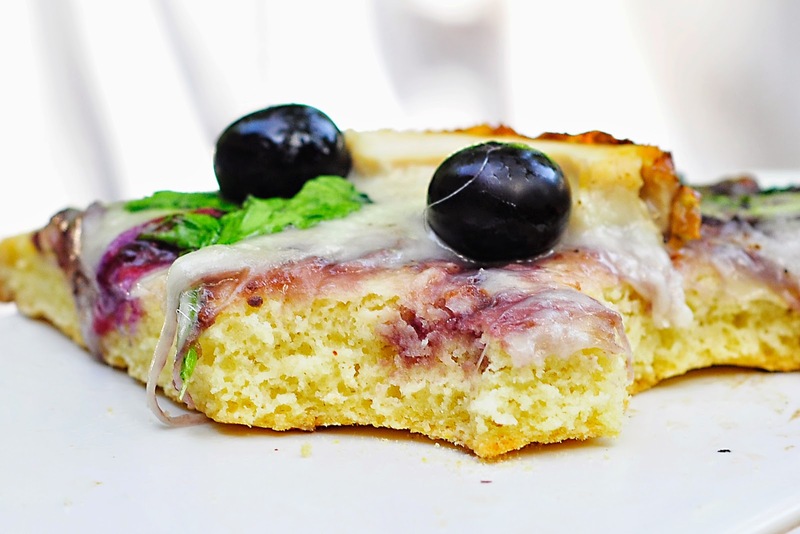 Notice the pizza crust is tinged with a yellow hue--that is in part from the buttermilk and also using millet. This flour is a light yellow. Millet is a wonderful grain. It has the best flavor and performs beyond expectation in my gluten free baked goods. You will notice I use it all the time. I find that it adds the right amount of flavor to trick my friends and family into thinking they are eating something "wheat-filled". 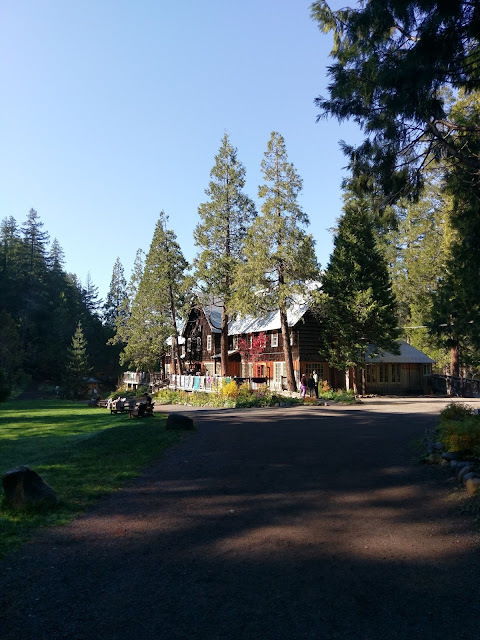 Let me know if you have had the same experience. 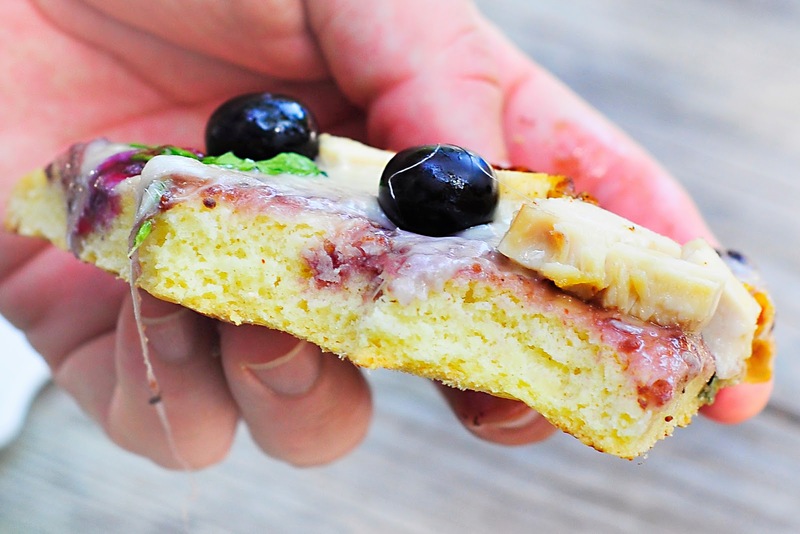 This pizza crust is not hard to make. If you have not worked with gluten free bread doughs before then you are in a for a treat. It is different but I have included some pictures below to help you bake your first pizza crust. 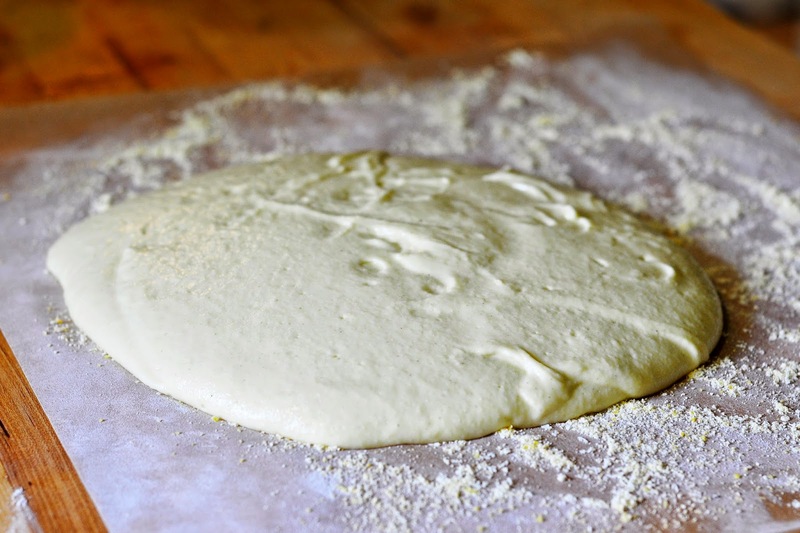 The dough needs to be wet so that it has enough water to work with the flours. It is a bit technical but if the dough is too dry then you get dry products. We don't want that! I make this dough on a pizza stone. I find that the outer crust is crispy and the pizza crust is soft in the middle. My husband said it reminded him of the boxed pizza crust you get at the store and make at home. This is not a bad thing. It is just a good example of what the texture will be like. This recipe makes one large pizza (12 inches) or you can make individual pizzas. Just cut the parchment paper to the size that you need and spread the dough out. The thicker you have it the thicker the crust will be. I made sure mine was a little more than 1/4 inch thick and it swelled up to what you see in the picture. You may need to play around with it to see which thickness you like. I made this blueberry BBQ sauce and chicken pizza for my family. The reason I chose to make this pizza with this sauce is because the sauce is wet. I wanted to see if the crust would hold up. I am quite pleased to say that it did. The BBQ sauce recipe will be up soon--look for it! Final thought: buy a scale! I am making more and more of my recipes by volume. To guarantee that each recipe turns out the same each time I must cook this way. It is so much easier to bake with a scale than with 5 different measuring cups. I use one bowl, a scale and bam--it's done. Really easy! I will have the estimated cups listed next to the recipe for those that do not have a scale but, again, I am encouraging you to invest in this very useful kitchen tool. 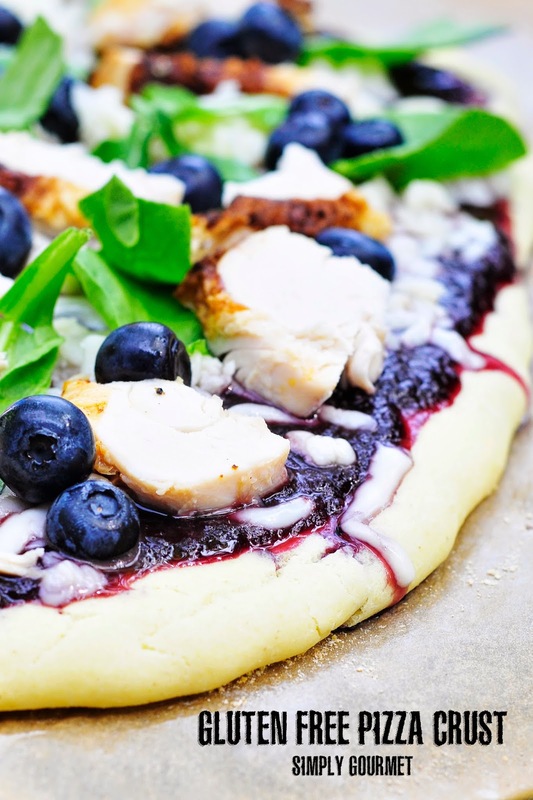 This delicious Blueberry BBQ Chicken Pizza recipe will be out on Sunday--be sure to check back! 1. Combine the dry ingredients into a medium bowl. Sift once. 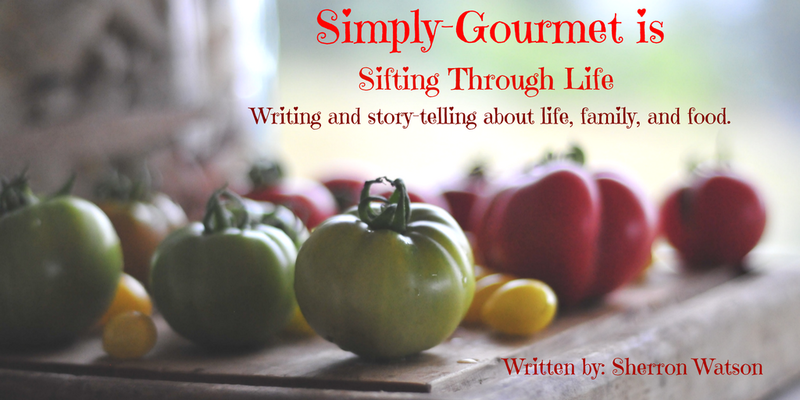 Sifting helps to mix the ingredients and to find any clumps in the flours and starches. 2. In a small bowl combine the wet ingredients. 3. I use my KitchenAid stand mixer to mix the dough. Add the dry and the wet to the stand mixer and attache the paddle tool. Start on low and mix dough, once it is mixed, increase speed to medium for 5 minutes. 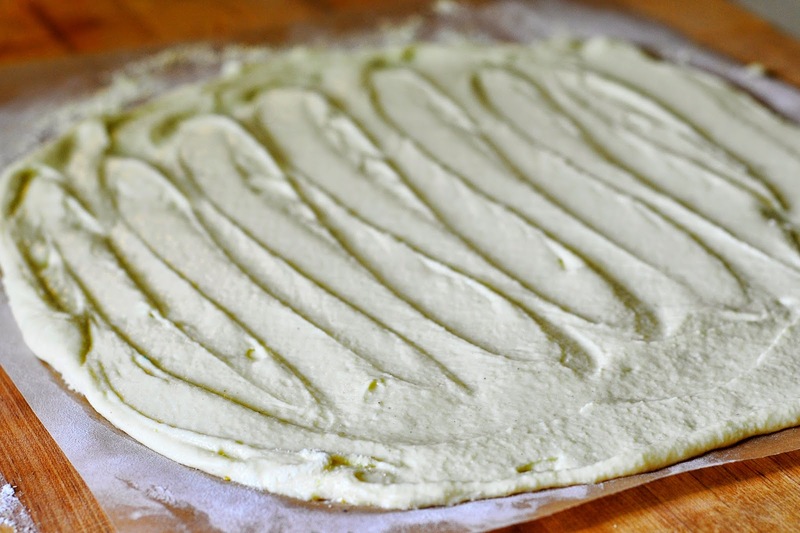 Dough should look stretchy--like a thick cake batter. 4. This is best made on parchment paper. If you don't have any, then get the pan that you will bake the crust on and spread with a light sprinkling of corn meal. See picture below. Pour dough into the middle of the paper or pan. 5. 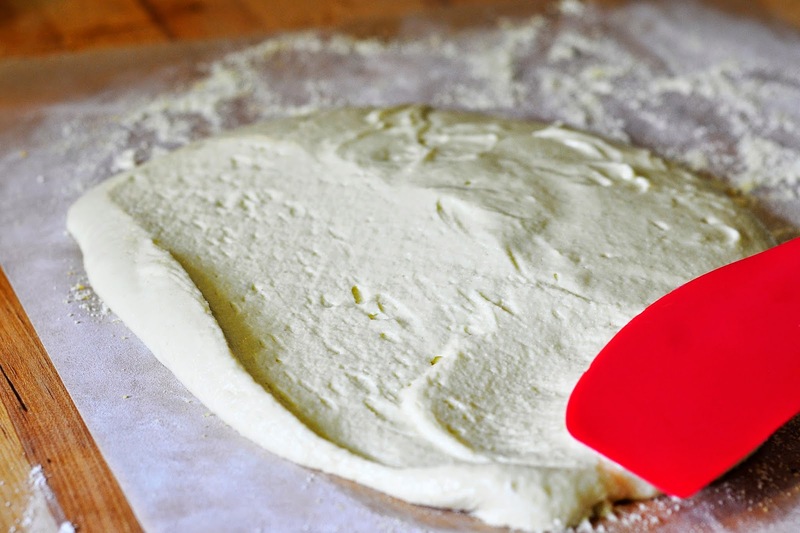 Take a plastic spatula and spread dough to desired thickness and size. You can also make individual sized pizzas. See picture below. 6. See picture to know how I spread mine. This was the final product. 7. Bake just the crust for 8 minutes. See picture at the top. Add sauce, cheese and ingredients and bake for an additional 10-12 minutes. Remove from oven. The pizza should slide off of the parchment paper. I remove the parchment paper so that the crust can sit directly on my pizza stone and dry up any sauce that may have ran over the sides. 8. Slice and serve. Store left overs in the refrigerator. Looks every bit as delicious as the "regular" version, Sherron! Thank you Ann. We have really enjoyed having pizza again in our family.